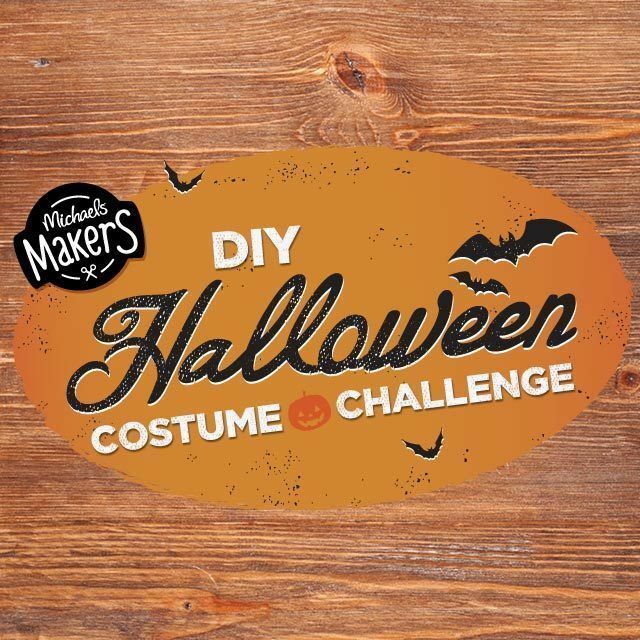 The Michaels’ Makers October challenge is ‘Halloween costume’. How fun! 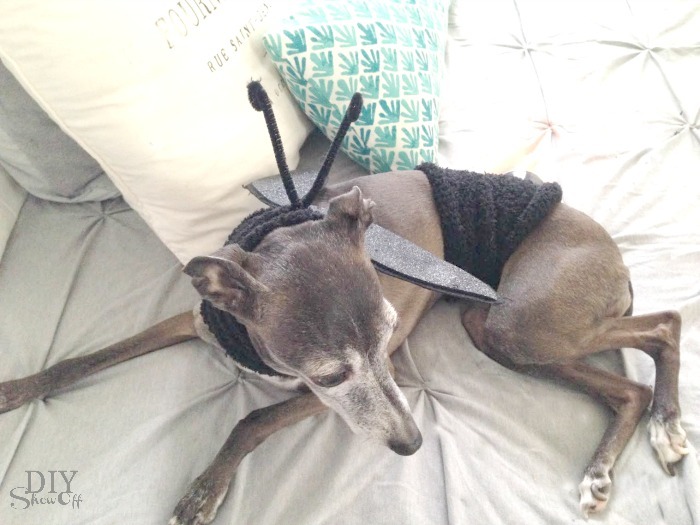 I received a gift card to create a cute lightning bug costume for my love bug, Rosie, our Italian greyhound. This will only fit small super skinny dogs. Rosie weighs in at 10 lbs. 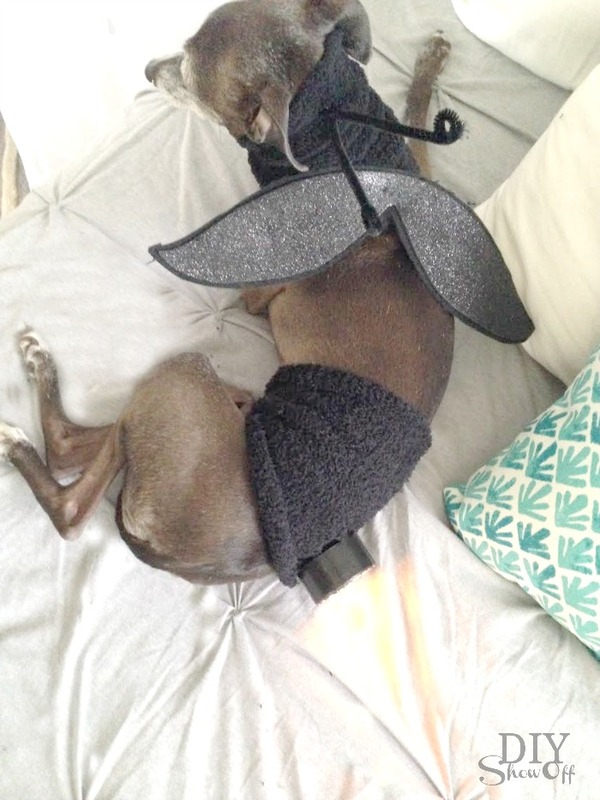 Alter the design to fit your dog’s size – sleeves of an old black t-shirt? Or sewing two stretchy/knit bands that fit your dog snug but comfortably. Cut the ends off of each sock. 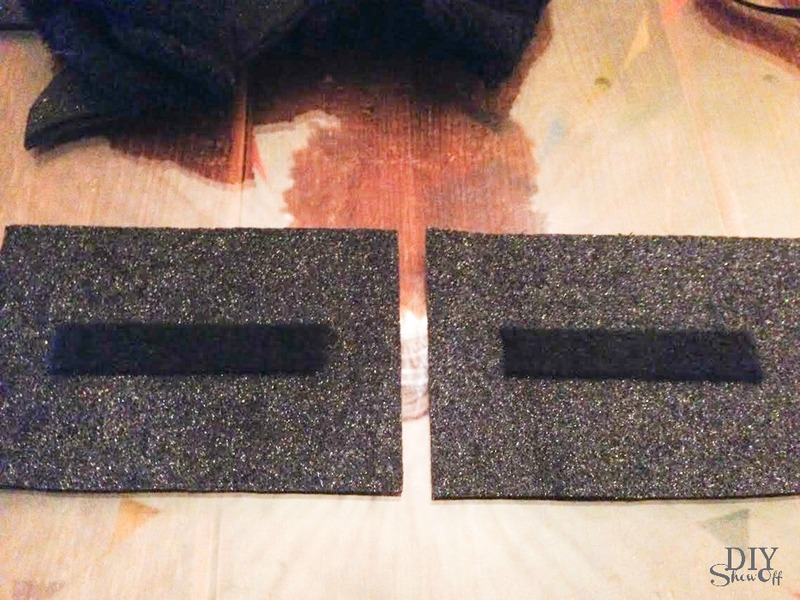 Fold adhesive felt in half and cut out a set of wings. (I drew out a few shapes to practice/choose a shape that I liked best). 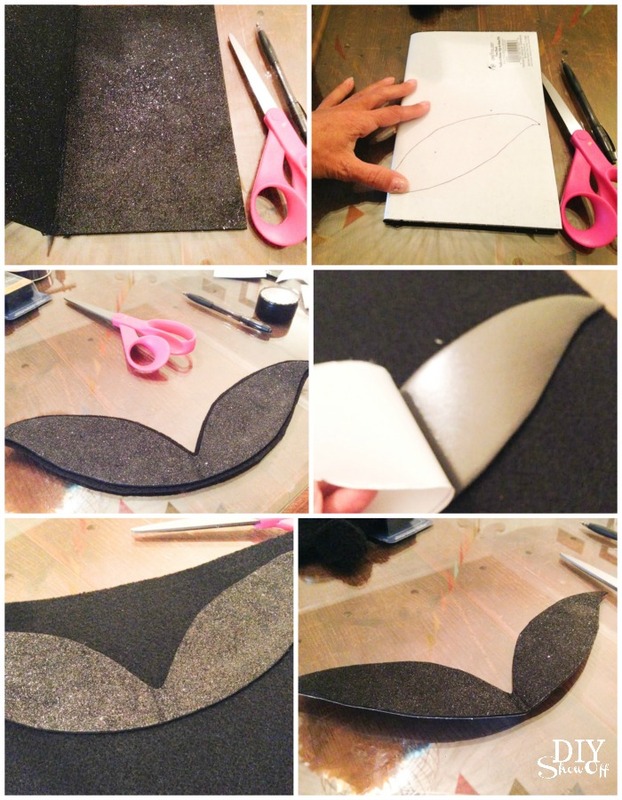 Remove backing, place onto black felt and cut around the ‘wings’. This gives the wings a little more sturdiness. 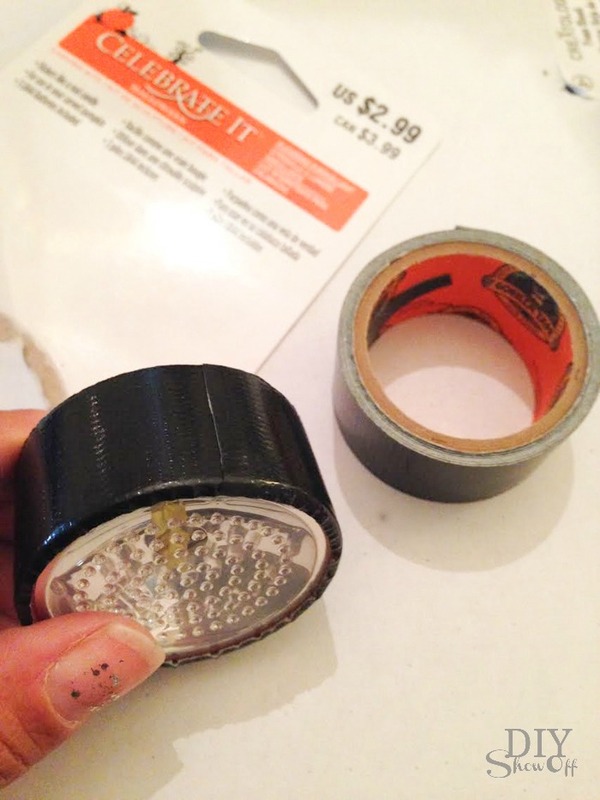 Cover light with black tape. One of the socks will go around the neck. 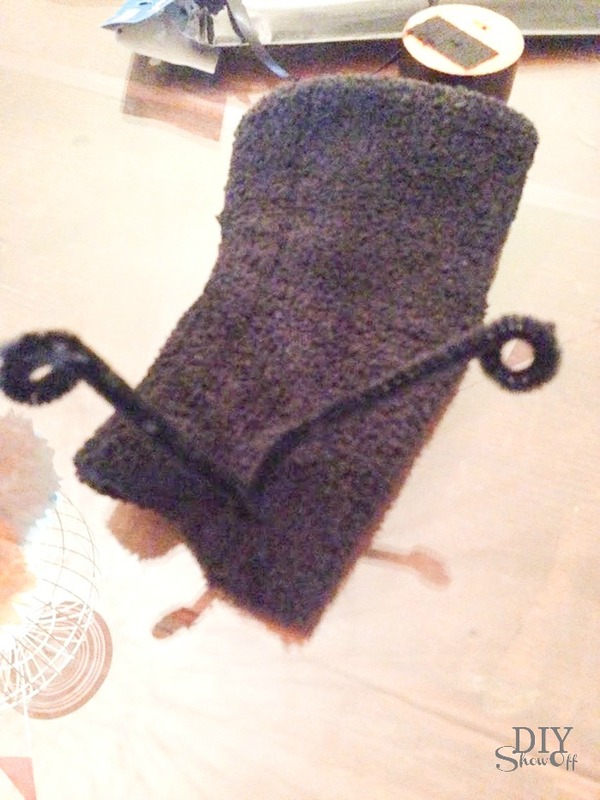 Poke the end of a pipe cleaner into the sock, fold pipe cleaner in half. Twist the base and curl the ends. 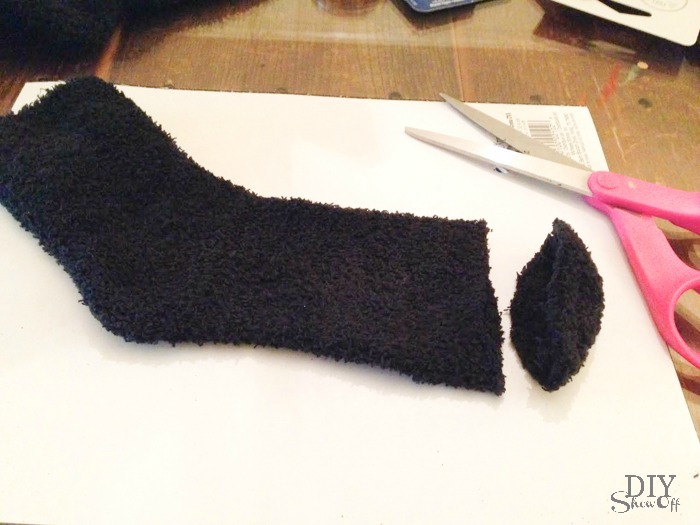 Towards the other end of the length of the sock, cut a small hole using a pair of scissors. That hole will allow a felt patch with velcro to show through for securing the wings. 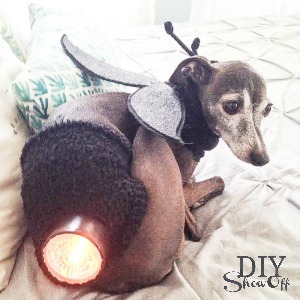 Attach a piece of velcro to the under side of the wings. 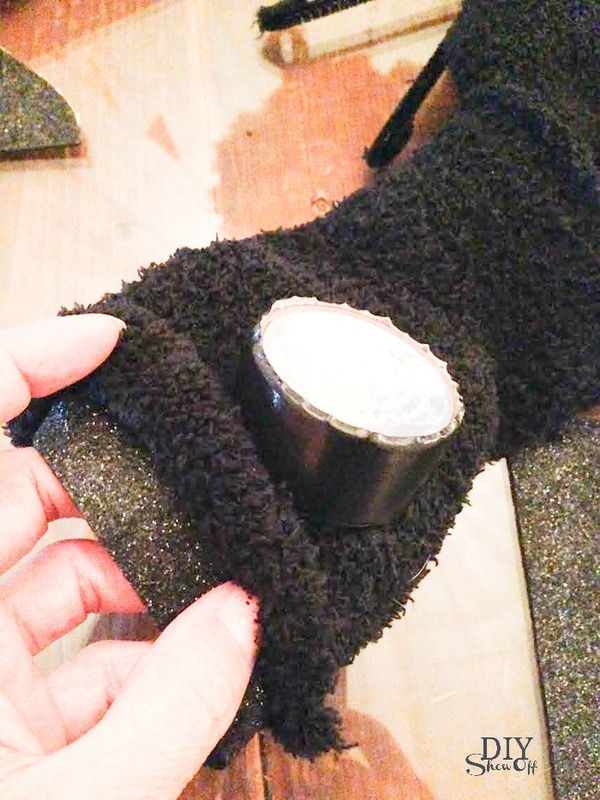 I added a piece of velcro to the back of the light and cut a small hole in one end of the second sock. Cut rectangles from remaining felt. 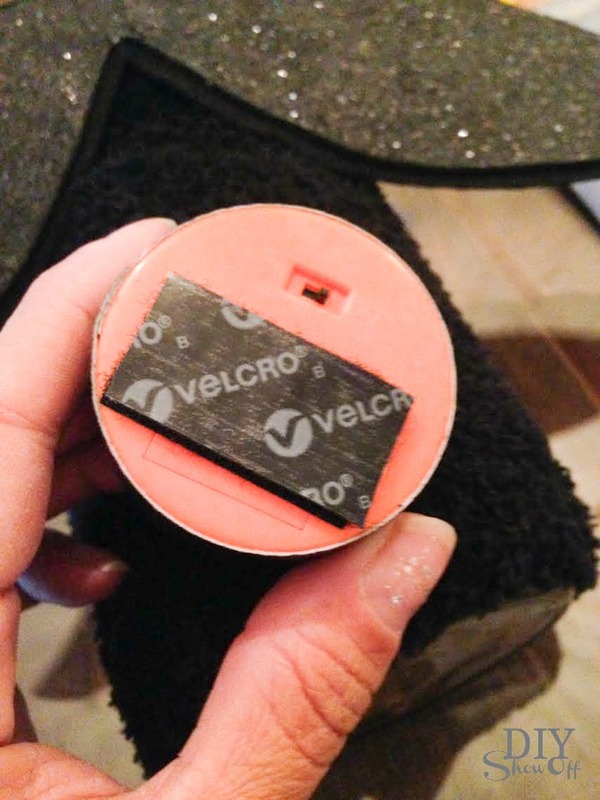 Attach a 3″ strip of velcro to each square of felt (velcro opposite of that used on the wings and light). Dress the dog! One sock around her neck (this fits my dog comfortably). The other sock fits around her waist area, below her rib cage. 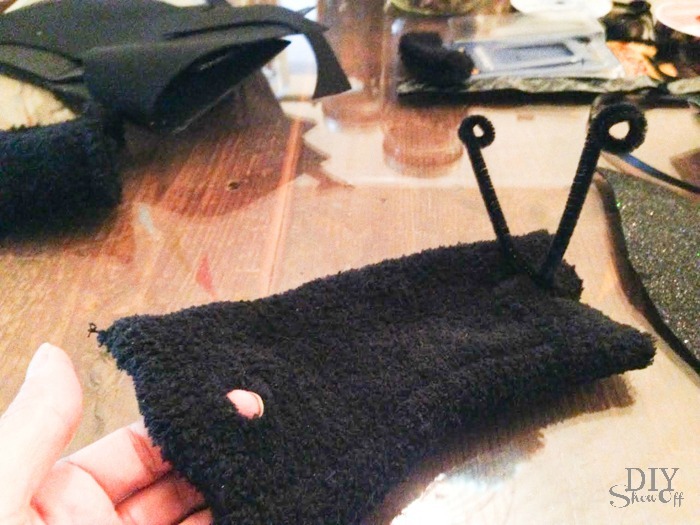 Once the socks were on my dog, I tucked the felt square into each sock with the velcro side facing the small holes. 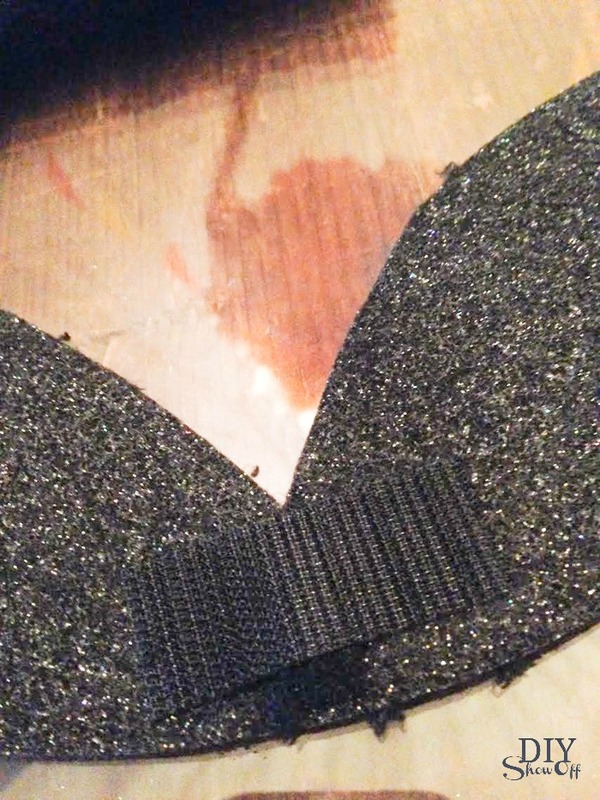 Attach wings and light, velcro side down to velcro showing through the small hole. 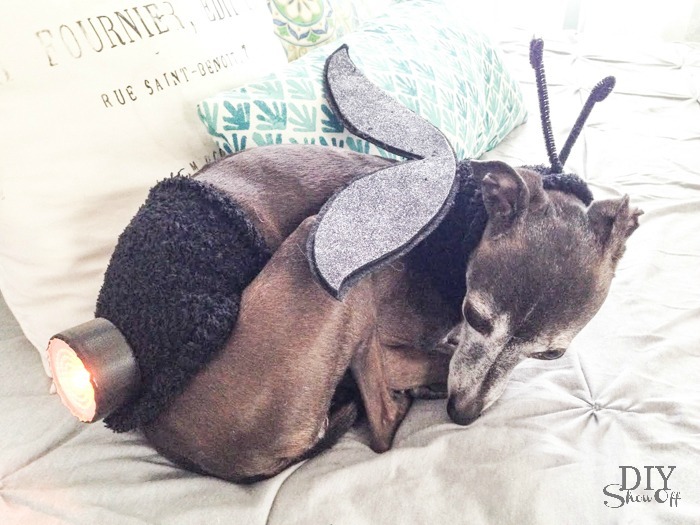 She’s more interested in being a cuddle bug than being a lightning bug Halloween costume model. Isn’t she the cutest lightning bug ever? 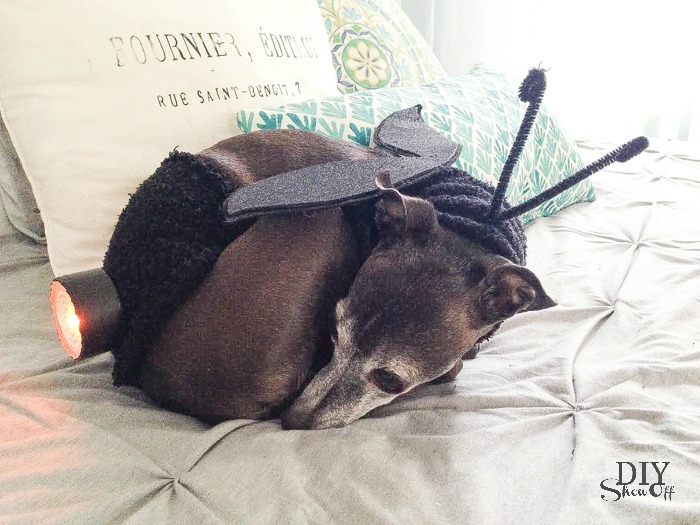 Do you dress your pets for Halloween? Do they tolerate it? Act a bit embarrassed (like Rosie)? Roll around or proudly show off? *Note: Please take your own dog’s temperament, personality into consideration and make your pet’s safety your priority. Haven’t decided what you want to be yet? Take a look at some of Michaels DIY Halloween costume projects on Michaels.com for inspiration. 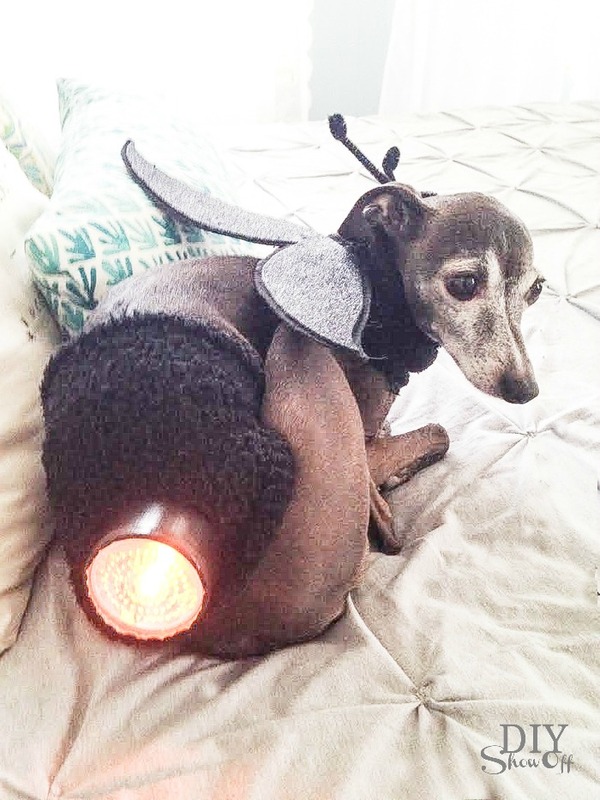 This entry was posted in Halloween, Michael's Makers, Pets and tagged DIY, dog, Halloween, MichaelsMakers by Roeshel. Bookmark the permalink.